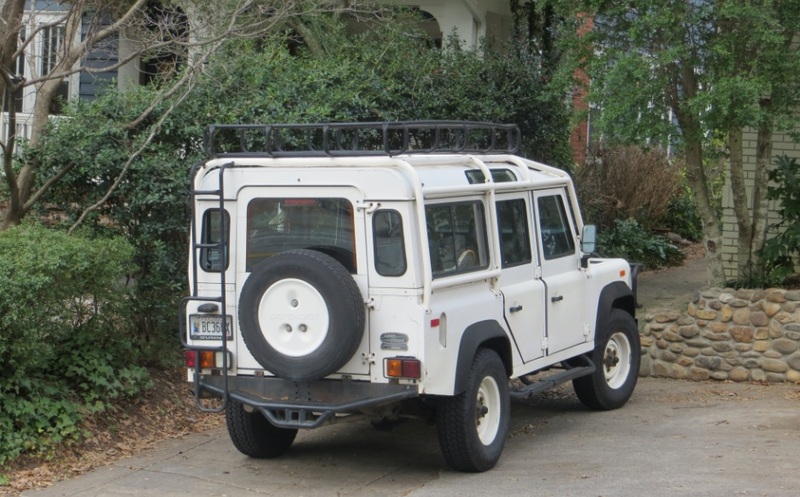 In The Hood, we have the odd Defender 90 or two. 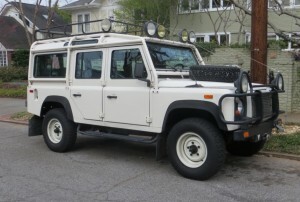 But most importantly, we have two real gems: the North American Spec Defender 110. 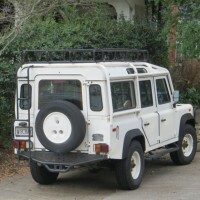 While the US Defender lineup consisted of several thousand two-door D-90s coming stateside from 1994 to 1997, we only got the “NA Spec” (later shortened to NAS because apparently these people enjoy acronyms) Defender 110 in 1993. They were all white and all were four-door wagons. Many of them rusted away, while others live happy, fulfilled lives cruising down Milestone Road in Nantucket. Because of the sheer rarity of the NAS D-110, values have now climbed to absurd levels. A mediocre car (read: a rusty car) brings $40k, while a decent one can command between $60k and $80k. A fully-restored example being sold by a bearded guy in Nantucket might list for $100k or more. The odd thing about the NAS D-110 is that, with the government’s “25 year” rule now extended to 1988 models, you can import your own D-110 for something like a fifth of the cost of actually buying a NA-Spec car. 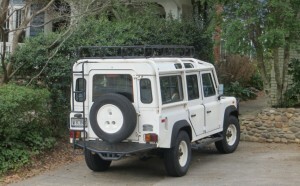 But the true Land Rover enthusiasts can spot a non-NA-Spec car from a mile away, and if they do, they won’t invite you to Nantucket. The examples here are numbers 111 and 378, as indicated on the dash plaque proudly displayed near the rear bumper. There’s no plaque to display the owner’s old money status. There doesn’t need to be. This thing just says don’t worry about it, let’s get out there and have a bit of an adventure. It just takes me away to wild and desolate places, but without the whole “survivorman” suffering part.